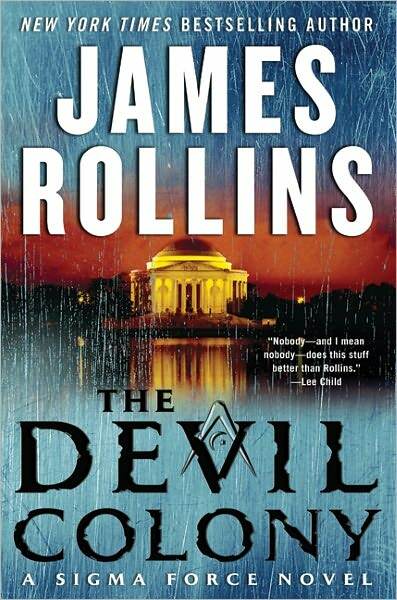 First off, I have to say that James Rollins is one of my favorite authors but this book fell a little short of my expectations for him. The book still had amazing suspense as always and had you biting your nails during many points in the novel. I was also very happy to see that this is not even near the last book in the Sigma Force Novel Series. I really enjoyed the new information that Rollins reveals about the Guild and also all the directions that the lives of the members of Sigma are going in. The thing that excited me the most about this book was the return of the Truth and Fiction section at the end of the novel. It is always fascinating finding out some of the unbelievable part concerning history or science were actually real or based on something real. I did think that some of the members of the Guild acted a little nicer than I thought they would. I am very impressed by how Rollins split up the chapters into time slots, which must have taken a while to figure out. I am most excited to see what happens between Seichan and Gray. Finally, I really liked all the new weapon technology that you get introduced to such as the taser shotgun rounds and the flashbang prosthesis. Overall, I would give this novel a B.